NATICK, MA, April 30, 2009 — Genelec, the world’s longstanding leader in active monitoring, is proud to introduce the new 1038CF Tri-Amplified Active Monitoring System. It features loudspeaker drivers, slim speaker enclosure (only 9.25"/235 mm), dual eight-inch long throw bass drivers, multiple power amplifiers and active, low level crossovers. Designed for medium-sized control rooms, this system is ideal for music recording studios, project studios, film and video postproduction and broadcast monitoring. The 1038CF is based on the highly acclaimed full-range Genelec 1038B 3-Way Monitoring System and developed as a response to market feedback and customer requests for the same Mid/High performance in a compact package. 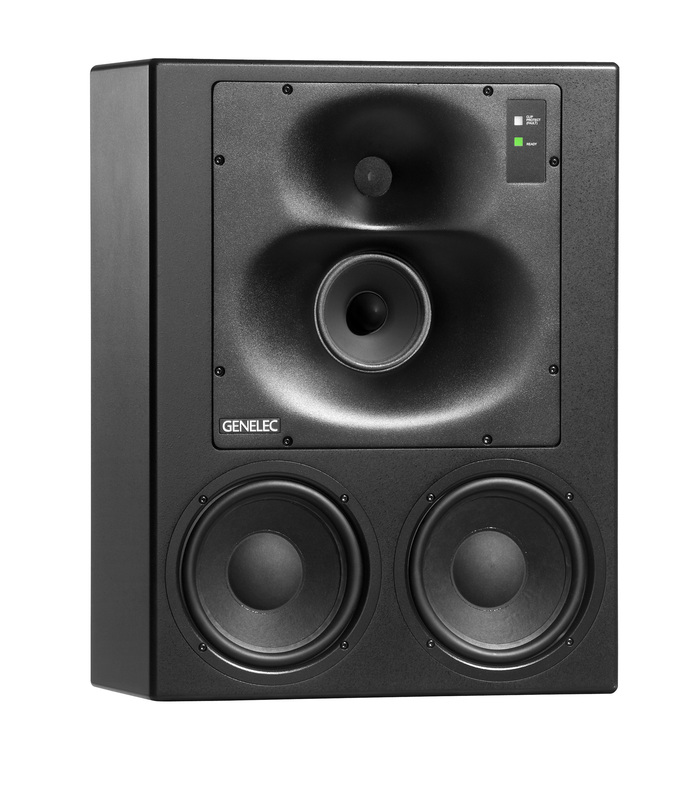 The Genelec 1038B model, the basis for the new 1038CF, is an impressive full-range monitor with great low-end response; it has been consistently praised for its even dispersion characteristics in the Mid/High spectrum. However, today’s audio production rooms are often small, and most multichannel environments use a subwoofer combined with bass management to handle most of the LF content as well as the LFE channel signal, settings in which use of the larger 1038B would not be optimal. Genelec has engineered the new 1038CF specifically with these needs in mind. The 1038CF features a bass response down to 55 Hz, as the focus is on Mid/High directivity characteristics. The system can optionally be used in combination with a subwoofer in either stereo or multichannel applications. The 1038CF’s very compact, sealed enclosure measures a mere 24.02" (610 mm) H x 18.5" (470 mm) W x 9.25" (235 mm) D, making it highly suitable for on-wall, free-standing or flush-mounted applications. The system has a built-in tri-amplifier unit, delivering a total of 420 Watts into two 8-inch (210-mm) long-throw bass drivers, a 5.12" (130-mm) proprietary Genelec midrange driver and a one-inch (25-mm) metal dome tweeter. 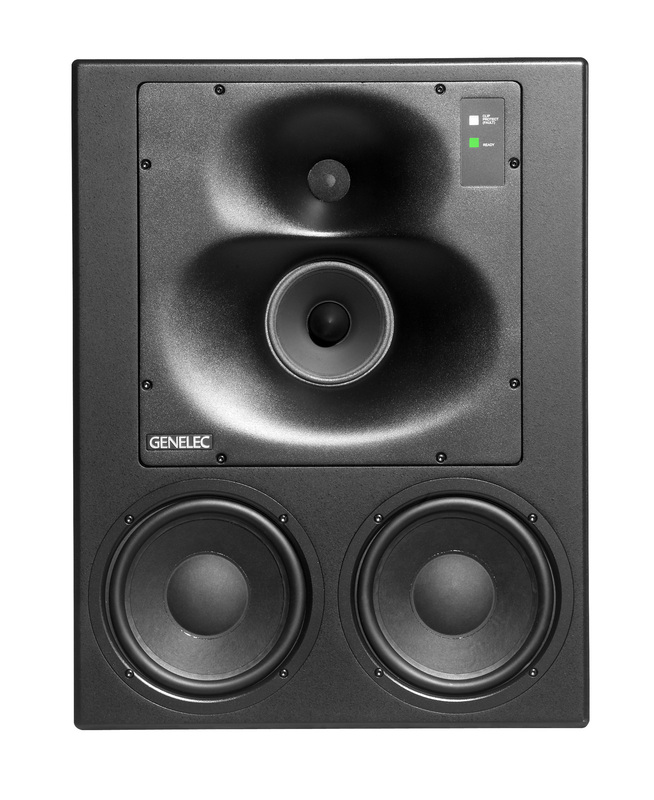 The 1038CF uses Genelec’s advanced Directivity Controlled Waveguide™ (DCW™) technology, which provides excellent stereo imaging and frequency balance, even in difficult acoustic environments. Versatile crossover controls allow for precise matching of the speaker system to different acoustic conditions. The system can be used in both vertical and horizontal orientation by simply rotating the DCW unit.